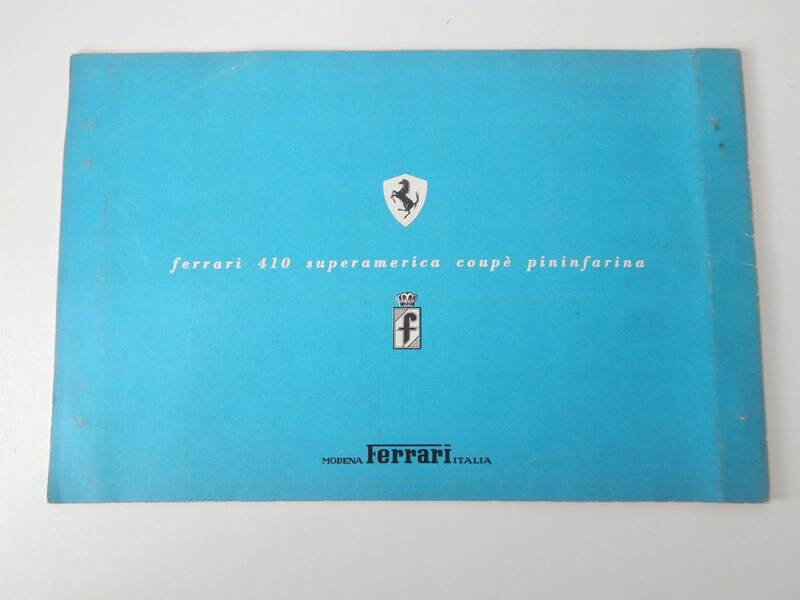 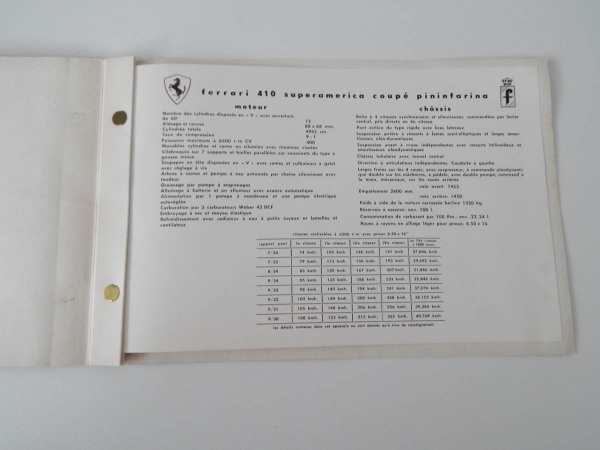 Original Ferrari 410 Superamerica Coupe Pininfarina Sales brochure, in very good condition. 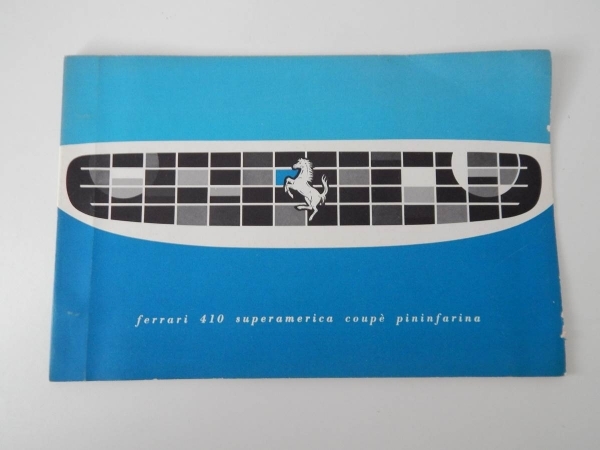 This particular example is the extremely rare version of the 410SA brochure, and features details in French on the car. 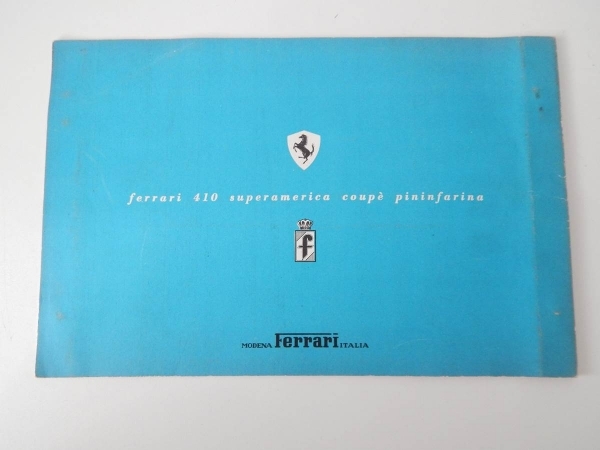 Slight creasing to the top right corner as shown in the photos, but other than that, this brochure is in very nice original condition.